(c) The learner will demonstrate reasonable progress by keeping up with the flow of traffic when it is practicable, legal and safe. (a) Accurately comply with the 'System of Car Control'. (b) Comply with speed limits for bridges, roadworks, schools, car parks and learner requirements. 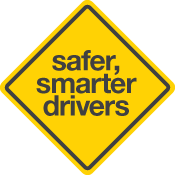 (c) Maintain at least a '3 second' following distance between the vehicle in front and the learner's vehicle.